Reform Training and Skills is a Matrix accredited organisation that had built a superb reputation for quality provision, equipping unemployed learners with the skills and qualifications they need to progress into work. Delivering from Penzance to Birmingham we work with a wide range of partners to reach learners in the community, providing vocational courses in Construction, Retail, Catering and IT all with Functional Skills input, ensuring successful learners leave with improved qualifications in English and Maths. 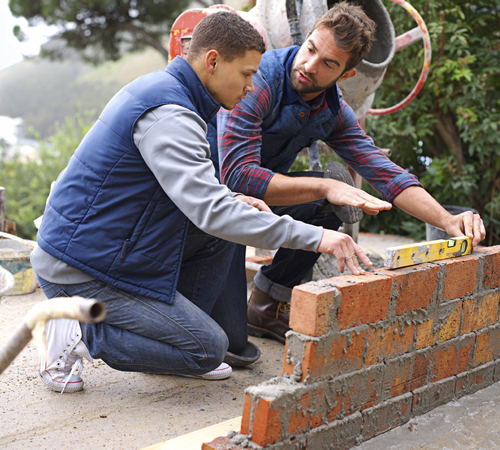 In addition we now deliver CSCS construction courses to offenders in resettlement prisons throughout the South West as part of the OLASS (Offender Learning and Skills) contract. Our innovative project ensures that offenders will receive the training they need to obtain a CSCS card on release, this is facilitated by our Offender Training Support Officer who works with ex offenders to ensure CSCS cards are obtained and employment support is offered. By removing a significant barrier to immediate work in providing the mandatory Health and Safety CSCS card for those looking to find jobs in construction we compliment the existing training and support ex offenders into employment on release. Reform Training & Skills's experienced tutors provide a range of FREE training courses for eligible learners. Apply for your CSCS card and complete step 1 of your test online with with Reform Training & Skills. To promote opportunity in a supportive, relaxed and empathic manner, providing high quality learner focussed training. To provide quality, work focussed training and skills, delivered by professional and fully qualified staff in a supportive and relaxed environment. Gain your FREE CSCS Card and test with an industry leader. All courses are delivered in a professional and supportive training environment with 91% of learners passing at the first attempt. Successful leaners benefit from a ‘back to work’ voucher to help them purchase tools or PPE. So to get your career in construction kick started please click above. Learners on this FREE catering course will benefit from a FREE Food Hygiene certificate at Level 2. In addition they will gain practical experience in an industrial kitchen, practical tuition from a professional chef and a back to work voucher available on completion. Our IT courses are designed for those who are new to IT or lack confidence. On completion learners will be able to confidently search the internet, use various software packages such as Word and Excel, write, save and email CV’s improving job readiness and helping learners to access opportunities on line. All successful learners will receive a back to work voucher and a FREE tablet. FREE Retail course delivered by tutors with significant industry expertise, supporting learners into work in the Retail sector. FREE tablet and back to work available to all successful learners. This Course is aimed at those learners looking for a career in the care industry, It will provide you with a formal accredited qualification in the area, providing access to the sector either in employment or further training. Alongside the following a back to work voucher & Free 7" Tablet computer is available to all those who successfully complete the course. Reform Training & Skills invites all the participants of our training courses to send us feedback and comments upon completion of their course. We publish all such commnets on our testimonials page. Here are just the very latest ones received by us. Thank you for this last week i really injoyed it. I really learned alot with you and the team were very good. We made alot of new friends. Thank you!